NO PURCHASE NECESSARY TO ENTER OR WIN. A PURCHASE WILL NOT INCREASE YOUR CHANGES OF WINNING. OPEN TO LEGAL RESIDENTS OF THE FORTY-EIGHT (48) CONTIGUOUS UNITED STATES AND THE DISTRICT OF COLUMBIA (EXCLUDING RESIDENTS OF NEW YORK, RHODE ISLAND AND FLORIDA) WHO ARE 21 YEARS OF AGE AND OLDER VOID WHERE PROHIBITED. Eligibility: The Charlotte Motor Speedway Mobile App Trivia Sweepstakes (the "Sweepstakes") is open only to legal residents of the 48 contiguous United States and the District of Columbia (excluding residents of New York, Rhode Island and Florida)who are at least twenty-one (21) years old at the time of entry and have downloaded the FREE Charlotte Motor Speedway mobile app ("Mobile App") ("Entrant"). The persons in the following categories are not eligible to participate or win a prize in this promotion: Employees of Charlotte Motor Speedway ("Sponsor"), Speedway Motorsports, Inc., NASCAR, Inc., and American Honda Motor Co., Inc. and, their affiliates and each of their respective affiliate companies, parent companies, subsidiaries, advertising and promotion agencies, shareholders, officers, directors, agents, members, successors and assigns involved in the promotion, suppliers (collectively "Released Parties") and the immediate families or persons who reside in the same household of the employees of the Released Parties. Participation constitutes entrant's full and unconditional agreement to these official rules and Sponsor's decisions, which are final and binding in all matters related to the Sweepstakes. Winning a prize is contingent upon fulfilling all requirements set forth herein. The Sweepstakes consists of a random drawing. Timing: The Sweepstakes begins on April 28, 2017 at 12:00 a.m. Eastern Time ("ET") and ends on May 29, 2017 at 11:59 p.m. ET (the "Sweepstakes Period"). Sponsor's computer is the official time keeping device for this Sweepstakes. 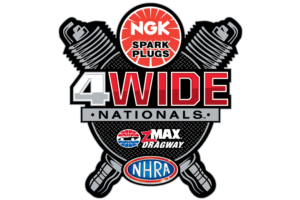 How to Enter: During the Sweepstakes Period, go to the Mobile App, click on the question titled "What year did Matt Hagan break the 3 second barrier at zMax Dragway? "or "What year did Dale Jr. win The Winston?" and follow the on-screen instructions to enter this Sweepstakes. All information you provide must be truthful, accurate and complete (including, correctly answering the trivia question) Upon successfully submitting your entry to Sponsor as described above you will receive one (1) entry in the Sweepstakes. Limit one (1) entry per person and per household address. No mechanically reproduced entries of any kind permitted. Illegible and incomplete entries are void. Entrant must correctly answer the trivia question to be entered. Sponsor is not responsible for lost, late, mutilated, postage due, misdirected entries or entries not received. In the event of a dispute over who submitted an online entry, the entry will be deemed to have been submitted by the authorized account holder of the e-mail account identified on the online entry form. The authorized account holder is deemed to be the natural person who is assigned to an e-mail address by an Internet access provider, service provider, or online organization responsible for assigning e-mail addresses for the domain associated with the submitted e-mail address. Entries become the property of Sponsor and will not be returned. Sweepstakes Drawing: Sponsor will utilize an electronic random selection program to determine potential prize winners. Sponsor's decisions as to the administration and operation of the Sweepstakes and the selection of potential winners are final and binding in all matters related to the Sweepstakes. Sponsor will randomly select one (1) potential Grand Prize Winner (the "Grand Prize Winner") from all eligible entries on or around June 1, 2017. ALL POTENTIAL WINNERS ARE SUBJECT TO VERIFICATION BY SPONSOR, WHOSE DECISIONS ARE FINAL AND BINDING IN ALL MATTERS RELATED TO THE PROMOTION. AN ENTRANT IS NOT A WINNER OF ANY PRIZE, EVEN IF SWEEPSTAKES SHOULD SO INDICATE, UNLESS AND UNTIL ENTRANT'S ELIGIBILITY, AND THE POTENTIAL GRAND PRIZE WINNER HAVE BEEN VERIFIED AND ENTRANT HAS BEEN NOTIFIED THAT VERIFICATION IS COMPLETE. SPONSOR WILL NOT ACCEPT SCREEN SHOTS OR OTHER EVIDENCE OF WINNING IN LIEU OF ITS VALIDATION PROCESS. ANY ENTRY THAT OCCURS AFTER THE SYSTEM HAS FAILED FOR ANY REASON IS DEEMED A DEFECTIVE ENTRY AND IS VOID AND WILL NOT BE HONORED. Verification of Potential Winners: Potential winners must continue to comply with all terms and conditions of these official rules, and winning is contingent upon fulfilling all requirements. Each potential winner will be notified by mail, email or phone. Each potential prize winner may be required, in Sponsor's sole discretion, to complete and return an Affidavit of Eligibility, a scan photo of identification, Release of Liability and/or, if legally permissible, a Publicity Release , which must be received by Sponsor within forty-eight (48) hours of the date notice or attempted notice is sent, in order to claim his/her prize (if applicable). If a potential winner of any prize cannot be contacted, fails to sign and return the Affidavit within the required time period (if applicable), or prize is returned as undeliverable, such potential winner forfeits the prize. In the event that the potential Grand Prize Winner is disqualified for any reason, Sponsor will award the Grand Prize to an alternate winner by random drawing from among all remaining eligible entries. All alternate potential winners are subject to all requirements set forth in these official rules. Only three (3) alternate winners will be selected after which the Grand Prize will remain un-awarded. Sweepstakes Prize: ONE (1) GRAND PRIZE - the Grand Prize Winner will receive one (1) Honda EU2000i Generator. Approximate Retail Value ("ARV") of the Grand Prize package: $999.95. Many will enter, only one (1) will win. The odds of winning depend upon the number of eligible entries received during the Sweepstakes Period. Sponsor cannot accurately predict the number of entrants who will participate in the Sweepstakes. All expenses taxes or other expenses are the responsibility of the Grand Prize Winner. No cash equivalent and all prizes are non-transferable and no substitution will be made except as provided herein at Sponsor's sole discretion. Sponsor reserves the right to substitute a prize for one of equal or greater value if the designated prize should become unavailable for any reason. An IRS form 1099 and other tax-related forms and documents may be issued by Sponsor if required by law. Release: By receipt of any prize, winner agrees to release and hold harmless the Released Partiesfrom and against any claim or cause of action, including, but not limited to, personal injury, death, or damage to or loss of property, arising out of participation in the Sweepstakes or receipt, use, or misuse of any prize. Publicity: Except where prohibited, participation in the Sweepstakes constitutes winner's consent to Sponsor's and its agents' use of winner's name, likeness, photograph, voice, opinions and/or hometown and state for promotional purposes in any media, worldwide, without further payment or consideration. General Conditions: Sponsor reserves the right to cancel, suspend and/or modify the Sweepstakes, or any part of it, if any fraud, technical failures or any other factor beyond Sponsor's reasonable control impairs the integrity or proper functioning of the Sweepstakes, as determined by Sponsor in its sole discretion. In such event, Sponsor reserves the right to award the prizes at random from among the eligible entries received up to the time of the impairment. Sponsor reserves the right, in its sole discretion, to disqualify any individual it finds to be tampering with the entry process or the operation of the Sweepstakes or to be acting in violation of these official rules or any other promotion or in an unsportsmanlike or disruptive manner. Any attempt by any person to deliberately undermine the legitimate operation of the Sweepstakes may be a violation of criminal and civil law, and, should such an attempt be made, Sponsor reserves the right to seek damages from any such person to the fullest extent permitted by law. Sponsor's failure to enforce any term of these official rules shall not constitute a waiver of that provision. Limitations of Liability: The Released Parties are not responsible for: (1) any incorrect or inaccurate information, whether caused by entrants, printing errors or by any of the equipment or programming associated with or utilized in the Sweepstakes; (2) technical failures of any kind, including, but not limited to malfunctions, interruptions, or disconnections in phone lines or network hardware or software; (3) unauthorized human intervention in any part of the entry process or the Sweepstakes; (4) technical or human error which may occur in the administration of the Sweepstakes or the processing of entries; or (5) any injury or damage to persons or property which may be caused, directly or indirectly, in whole or in part, from entrant's participation in the Sweepstakes or receipt or use or misuse of any prize. If for any reason an entrant's entry is confirmed to have been erroneously deleted, lost, or otherwise destroyed or corrupted, entrant's sole remedy is another entry in the Sweepstakes provided that if it is not possible to award another entry due to discontinuance of the Sweepstakes, or any part of it, for any reason, Sponsor, at its discretion, may elect to hold a random drawing from among all eligible entries received up to the date of discontinuance for any or all of the prizes offered herein. No more than the stated number of prizes will be awarded. In the event that production, technical, seeding, programming or any other reasons cause more than stated number of prizes as set forth in these official rules to be available and/or claimed, Sponsor reserves the right to award only the stated number of prizes by a random drawing among all legitimate, unawarded, eligible prize claims. Disputes: Except where prohibited, entrant agrees that: (1) any and all disputes, claims and causes of action arising out of or connected with this Sweepstakes or any prize awarded shall be resolved individually, without resort to any form of class action, and exclusively by a state or federal court located in or closest to Charlotte, North Carolina; (2) any and all claims, judgments and awards shall be limited to actual out-of-pocket costs incurred, including costs associated with entering this Sweepstakes, but in no event attorneys' fees; and (3) under no circumstances will entrant be permitted to obtain awards for, and entrant hereby waives all rights to claim, indirect, punitive, incidental and consequential damages and any other damages, other than for actual out-of-pocket expenses, and any and all rights to have damages multiplied or otherwise increased. All issues and questions concerning the construction, validity, interpretation and enforceability of these official rules, or the rights and obligations of the entrant and Sponsor in connection with the Sweepstakes, shall be governed by, and construed in accordance with, the laws of the State of North Carolina, without giving effect to any choice of law or conflict of law rules (whether of the State of North Carolina or any other jurisdiction), which would cause the application of the laws of any jurisdiction other than the State of North Carolina. Winners' List: To receive a list of the winners, send a stamped self-addressed envelope to: Trivia Challenge Sweepstakes Winner, 5555 Concord Parkway South, Charlotte, NC 28027 within sixty (60) days of expiration of the Sweepstakes Period. Rules Request: For a copy of these official rules, send a self-addressed, stamped envelope to Trivia Challenge Sweepstakes Rules, 5555 Concord Parkway South, Charlotte, NC 28027 prior to the end of the Sweepstakes Period. Vermont residents may omit return postage with Official Rules requests. Sponsor: Charlotte Motor Speedway, LLC, 5555 Concord Parkway South, Charlotte, NC 28027. NOTE: Any third party trademarks mentioned herein are the property of their respective trademark owners. The use or mention of such third party trademarks in these Official Rules or in the Sweepstakes is solely for descriptive purposes and shall in no way imply an endorsement or sponsorship of the Sweepstakes. This Sweepstakes is in no way sponsored or administered by, or associated with, Facebook, Instagram, or Twitter. You are providing your information to the Sponsor and the information you provide will only be used in accordance with the Official Rules of this Sweepstakes.